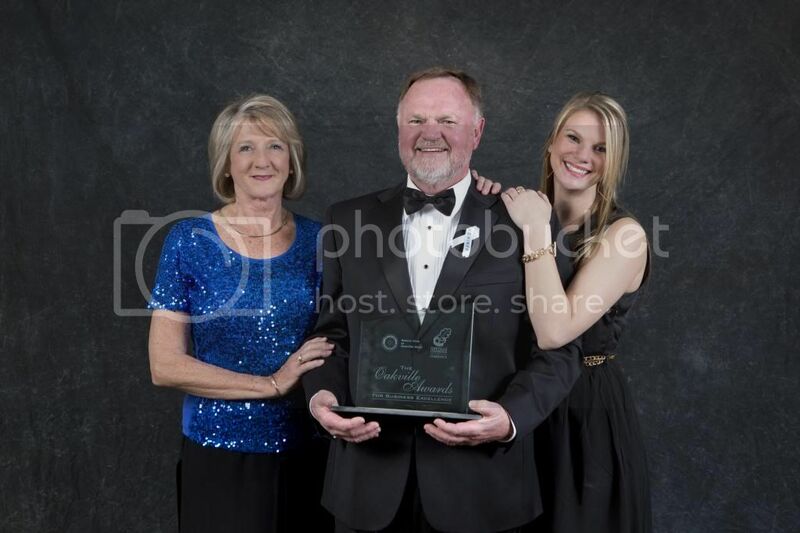 Oakville, Ontario – March 31, 2014 – Euro-Line Appliances Inc. wins Large Business of the year Award. At the Oakville Conference & Banquet Centre Thursday March 27, 2014, Euro-Line Appliances Inc. was awarded Large Business of the Year. This year’s OABE honors were presented in 7 categories, including Large Business, Medium Business, Small Business, Community Builder, Professional Service Provider, Restaurateur, and Entrepreneur of the year awards. 60 nominees were selected with one winner per category. Recipients of these awards were determined by a panel of top-tier judges from members of the Oakville Chamber of Commerce and the Rotary Club of Oakville West. Comprehensive interviews were conducted with all nominees, where the judges gained an in-depth understanding of the business, products/services, financial health, growth, customer service, employee relations, as well as community involvement. Founded in 1987, Euro-Line Appliances has created a demand for the finest European appliances for the North American market. As proud distributors of appliances from AEG, Liebherr, Porter & Charles and Franke, these brands are selected for their superior performance, energy efficiency, innovative technology and exceptional design. With multiple award-winning appliances within the product range, these brands exceed expectations in quality and performance and consistently surpass Energy Star ratings and compliance with RoHS (Reduction of certain Hazardous Substances). Our collection of cooking, dishwashing, ventilation, laundry and refrigeration appliances are created to conserve our non-renewable resources. They consume minimal amounts of water and energy while producing superior cooking and cleaning results. The Oakville Awards for Business Excellence (OABE) are dedicated to recognizing exemplary models of excellence and community service by Oakville’s businesses. The Oakville Chamber of Commerce in partnership with The Rotary Club of Oakville West (RCOW) organizes the OABE now in its 19th year. The OABE culminates in a prestigious Gala Dinner and Award ceremony. The proceeds from the Gala Awards Dinner, including the considerable support from our many Partners, provide funds for the Rotary Club’s numerous youth and academic programs such as the Oakville Awards for Academic Excellence, the Oakville Youth Development Centre, and Camp Enterprise.